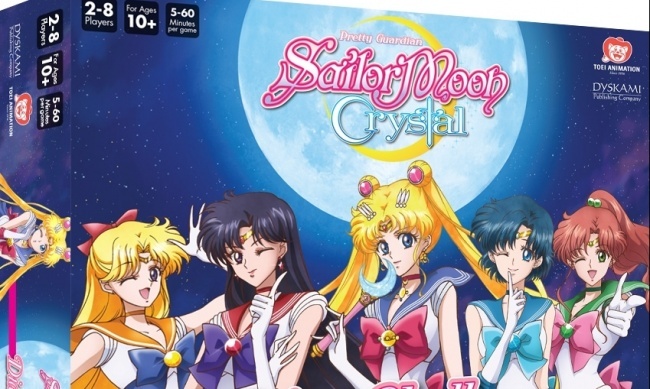 Dyskami Publishing Company has announced a new license with Toei Animation Inc. to produce a line of tabletop games based on the hit anime series Sailor Moon Crystal, with two releases planned for 2017. 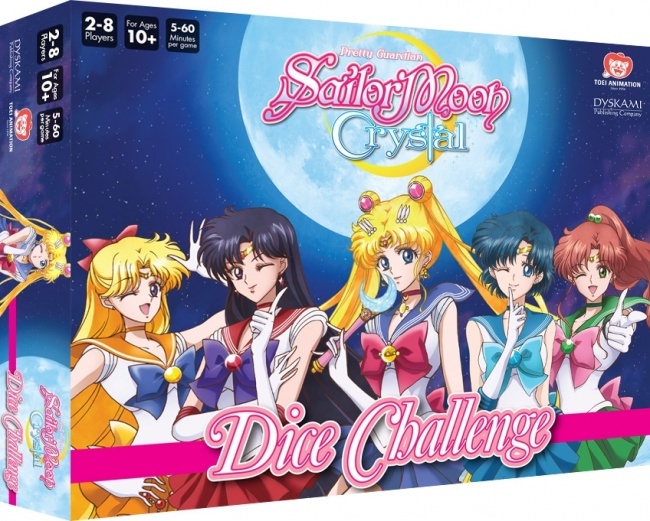 The first game in the series will be the Sailor Moon Crystal Dice Challenge, created by James Ernest and based on his quick-playing dice game Button Men, which won the Origins Award in 1999 for Best Abstract Board Game. Dyskami intends to publish the game in a small, portable format suitable for carrying around at anime conventions. Sailor Moon Crystal Dice Challenge is scheduled to release in late summer. The second game, Sailor Moon Crystal Truth or Bluff, will release later in the year. Dyskami describes this game as a “tile-passing-and-bluffing” game. Additional releases in the series are planned for next year as well. The long-popular “magic girl” series was rebooted in 2014 as Sailor Moon Crystal, which aired on the streaming service Hulu, NeonAlley and Crunchyroll (see “New ‘Sailor Moon Crystal’ Anime on Hulu”). VIZ Media has since been making the series available on DVD as well (see “DVD Round-up: ‘Doctor Strange,’ ‘Moonlight,’ ‘Allied,’ & ‘Sailor Moon’”). The manga series, by Naoko Takeuchi, is released in North America by Kodansha Comics.